Over 35 years later, we still have those same goals in mind. 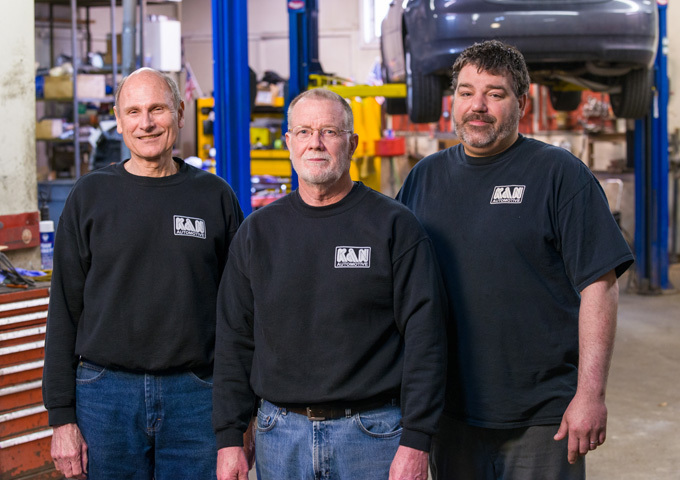 Every day, K & N Automotive strives for the level of excellence to which our customers are accustomed. Our customers can depend on professional reliable repairs from Kirk, Nick, and Jaris. We are an independent full-service Saab repair shop. Two of our three technicians have worked together for over three decades. From tune ups to engine rebuilds, we do it all! Our list of satisfied customers includes Saab owners from Toledo, Ohio, southwestern Ontario, Canada, as well as customers throughout Michigan from Grand Rapids, Lansing, Troy, Birmingham, Southfield, Detroit, and Ann Arbor. New customers are always welcome. Contact us today!